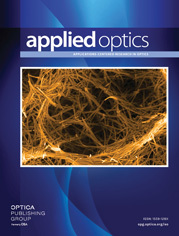 Optimum methods for calculating the effects of photon trapping are discussed. An efficient line-transfer algorithm that can calculate trapping when there are overlapping and interacting lines is described. Escape probability formulas are shown to be appropriate for calculating photon trapping for isolated lines and for the highest-energy line in a group of lines in many situations. Major computational savings are achieved by using cylindrical escape probabilities for recombination x-ray laser schemes. For collisional x-ray laser schemes it is shown that the calculation of line transfer in planar geometry is sufficiently fast that one only obtains substantial savings by exploiting the coarser spatial zoning that is possible when using escape probabilities in regions of steep velocity gradients. The use of escape probabilities is shown to be particularly well suited for single-zone parameter studies.